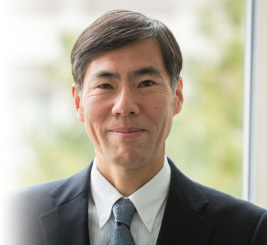 Koji Murota worked in private equity investment operations, including venture capital and buyouts, for over 20 years at Daiwa Corporate Investment Co., Ltd. Later, he became a specially appointed professor (Medical University Research Administrator) of Kyoto University and supported research development management in the field of medicine. 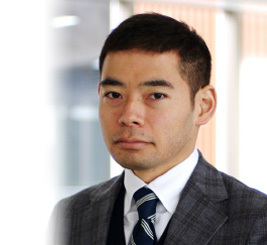 He has not only experienced the venture capital industry in Japan from its inception but has also worked on research support in basic and advanced levels at the university, educating entrepreneurs, too. He has been the company’s representative director and president since June 2016. Ko Kusumi is a Keio University graduate. 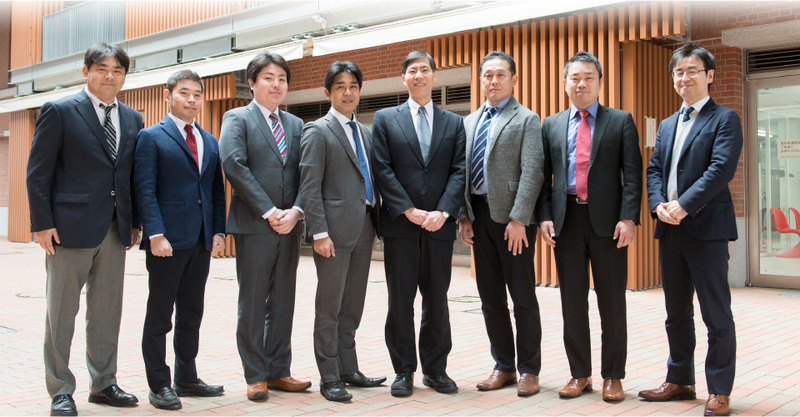 He assumed his present post of Executive Officer of Kyoto University Innovation Capital in 2018. Prior to this appointment, he was in charge of financing support services, including securitization and syndication, in Sumitomo Mitsui Banking Corporation, where he used his financing skills to match the needs of many corporations. At SMBC venture capital, he managed the buyout fund as the chief of the PE section, and participated in management as an outside board member and advisor for many investments to support the companies. 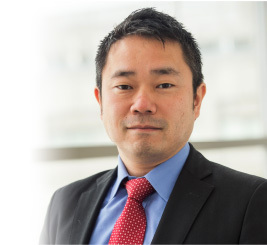 Osami Kono joined KYOTO-iCAP in April 2016 and now leads the Business Development Group with the additional charge of officer in the Investment Group. While at KYOTO-iCAP, He has invested several startups that include cell therapy biotech and new material companies. Before entering KYOTO-iCAP, He spent three years as a researcher with a chemical manufacturer and twenty years as a staff writer at Nikkei Business Publications, Inc. While at Nikkei BP, he covered biotech, finance, heavy industry, IT, etc., and wrote more than three thousand articles. He holds a B.E. in Polymer Chemistry from Kyoto University and an M.A. in Management Science from Tsukuba University. Ryosuke Gonotsubo has an LL.B. from Kyoto University and an MBA from the Tepper School of Business, Carnegie Mellon University. 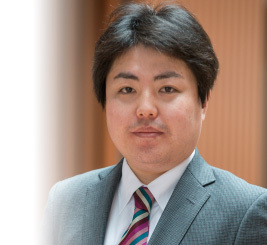 He joined KYOTO-iCAP in September 2015 and his current duties encompass life science (iPSC), energy, IoT, and AI. He is also a Director of Stem Cell and Device Laboratory, Inc.; Thyas Co., Ltd.; and Sho Engineering Corporation. 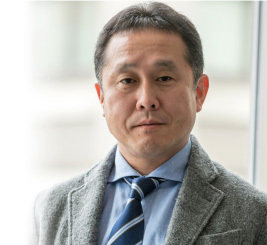 He was formerly the manager of Business Development and Investment Innovation Office at Kanematsu Corporation, one of the largest Japanese investment and trading conglomerates. While he led domestic and overseas investment, he also initiated the new business creation of an electric vehicle (EV) battery charging network and a smartphone application for EV taxis. 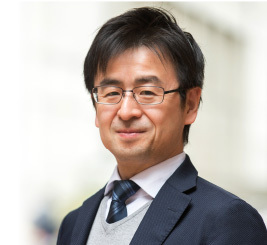 Currently an Investment Officer at KYOTO-iCAP, Dr Nobuhiro Yagi earned a PhD in pharmaceutical Sciences and accrued over 20 years of experience in industry before joining KYOTO-iCAP. He worked for Kyowa Hakko Kirin for 18 years and assumed many different positions, including R&D and Business Development of Biopharmaceutical products. He also served as a scientist for several academic research institutes such as Kyoto University, RIKEN, Tokyo University, and UC San Diego. He has obtained extensive experience in the planning and management of open innovation through industry-academia collaboration and in the development of intellectual property strategies in considering commercialization. In his present position, he focuses on technology driven startups based on Biology, Material science, and Mechanical engineering. Dr. Hiroyuki Ueno earned his PhD from Osaka University and presently serves as an officer for Kyoto University Innovation Capital. He has invested in life science and healthcare companies and has held board director or observer roles in such firms, including Chordia TX, Thyas, Drawbridge Health, AlphaNavi Pharma, Kola-Gen Pharma, and CleanHearing in the KU-iCap portfolio. 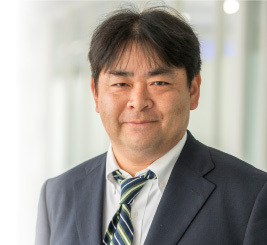 His previous positions include work as a Fellow for Sumitomo Dainippon Pharmaceutical Company and Principal Scientist for Takeda Pharmaceutical Company. He is a widely published author in the fields of genetics, molecular biology, physiology, and drug discovery. Kenichi Yotsumoto was in charge of starting companies and funds in Japan and abroad including establishing the iPS Academia Japan, Inc. with Kyoto University, while he was employed in Daiwa Corporate Investment Co., Ltd. and also lectured at several universities, supporting their entrepreneurship education curriculums. Since December 2014, he has been in charge of KYOTO-iCAP. He graduated from the Kyoto University Faculty of Science. 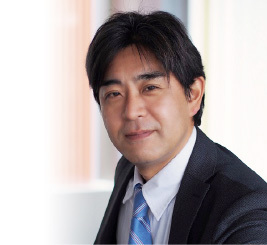 Masayoshi Ohbayashi worked on application development and quality management in Toyobo Co., Ltd. He contributed to the increased adoption and order volume for his company’s products by performing market research, prototype production in the laboratory, licensing, and providing know-how to users. He also established know-how for production and quality control for mass production of developed products. While in charge of the production line in the factory, Ohbayashi managed the production conditions and quality control. His major was systems engineering at the Department of Textile Science and Technology of Shinshu University (master’s degree). He has been in charge of investment in KYOTO-iCAP since January 2017.